Perfect for breathing new life into drum loops, accentuating or attenuating instrumental attacks, and modifying room acoustics, Trans-X is a revolutionary processor that shapes transients and revitalizes individual tracks and full mixes. 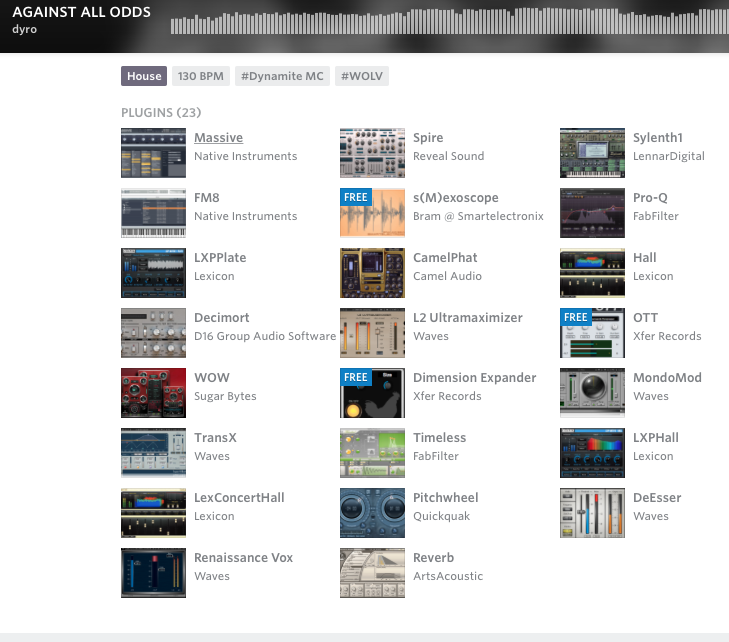 In [this](https://splice.com/dyro/against-all-odds) Splice project, Waves Trans-X is listed among the plugins used by Dyro. Waves TransX is a software multiband compressor plugin. In this video at 6:39 Tobi from Neonlight can be seen using this plugin "to control it [the sound] a bit better in the highs". Ideal for drum tracks and loops. Adds punch, softens edges, highlights sustain. Multi (4-Band) and Wide (Wide Band) components. Multi features individual range and sensitivity for each band. No reviews or videos yet for Waves Trans-X. With an Equipboard account you can rate this item, add it to your collection, submit a review to discuss what you like and dislike about it, and associate Waves Trans-X to artists that use it. Create an account!